A mention of Klein Constantia’s Vin de Constance in E L James’ novel 50 Shades Darker has sparked unprecedented interest in the South African sweet wine. 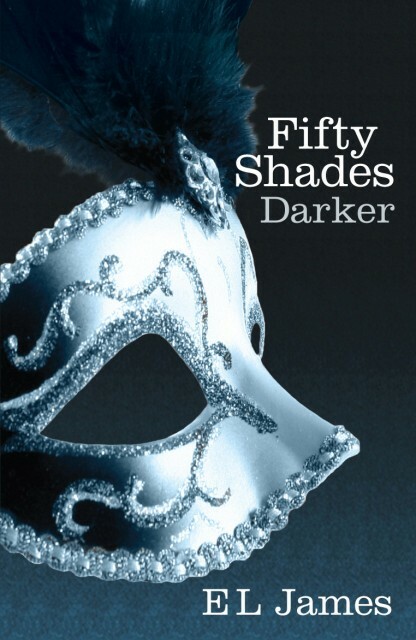 The 2004 vintage makes an appearance in the second book of the 50 Shades erotictrilogy at a masked ball attended by the novel’s protagonists, Christian Grey and Anastasia Steele. Vin de Constance 2004 is enjoyed with the third course at the charity event, paired with sugared-crusted walnut chiffon candied figs, sabayon sauce and maple ice cream. According to The Telegraph, restaurants in America have begun staging Fifty Shades evenings with replica menus. The sweet wine’s brief cameo has also led to daily requests to try the 2004 vintage at the 82-hectare estate in the Constantia Valley, 10 miles inland from Cape Town. “We’re asked every day by people coming into our tasting room about the wine appearing in Fifty Shades Darker,” managing director Hans Astrom told The Telegraph. “We were surprised to discover that Vin de Constance was featured in the book, but as a result many new people are discovering one of the great wines of the world,” he added. The Constantia valley is the oldest vineyard region in the Cape with vines first planted as far back as 1685. Napoleon is said to have drunk a bottle of Vin de Constance a day while in exile on the island of St. Helena, and every day in the week leading up to his death. French poet Baudelaire claimed that only the lips of his lover surpassed the “heavenly sweetness” of South Africa’s “honey-coloured” Constantia wine. Michelin-starred chef Michel Roux Jr. of Le Gavroche has even written a cookbook devoted to the wine. Co-owner of the estate, Charles Harman told The Telegraph: “Vin de Constance has been a favourite wine of Emperors, Kings and authors for centuries. The sweet wine was revived 30 years ago when the Vin de Constance vineyard was redeveloped. The 2007 vintage of Vin de Constance received a 97-point score from Robert Parker’s South Africa taster Neal Martin – the highest mark ever given by The Wine Advocate for a South African wine. The wine is now selling as fast as the estate can produce it, at around £35 a bottle in the UK. The 50 Shades trilogy has sold 65 million copies worldwide. Of course this is not the first time literature and drinks have met – see our Top 10 literary drinks feature. I am so lucky to have 2 of these bottles ( 1988 and 1994 )and think I should sell them as I am not a wine drinker at all. I have always been aware of their amazing status and history, but its quality will be wasted on me. Any buyers? Please send me an email. Who are we to question the needs of the wild and wanton ? If they have enjoyed the magnificent nectar outside of the Chamber then at least they have done something realistic !